Free Thanksgiving worksheet for kids to do in groups or as individuals. Then kids can read their answers to the class and get points for the words that nobody else got. 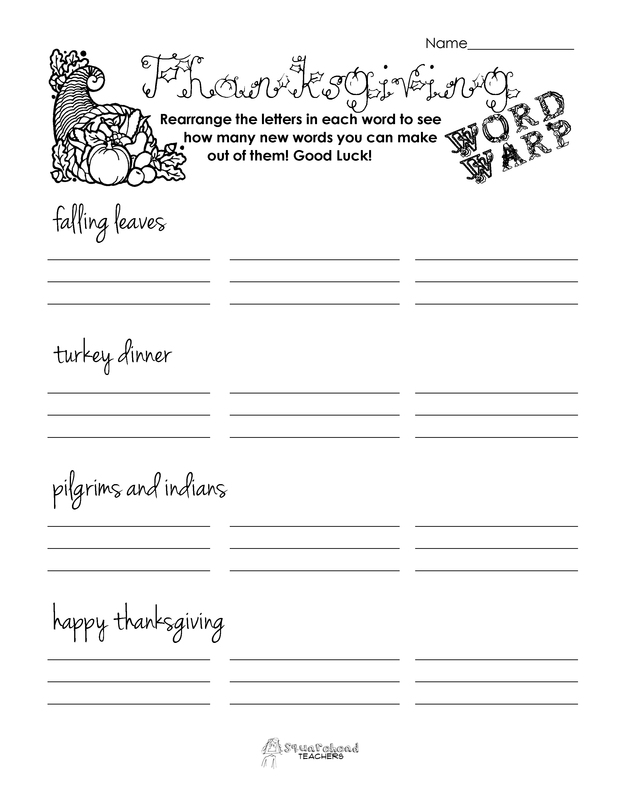 Click here for the free printable PDF: Word Warp Thanksgiving PDF Let me know how this works in YOUR classroom or home school setting… Thanks!